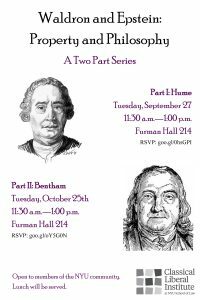 Please join us for this two-part lunch series featuring Professors Richard Epstein, Laurence A. Tisch Professor of Law, and Jeremy Waldron, University Professor, NYU School of Law. 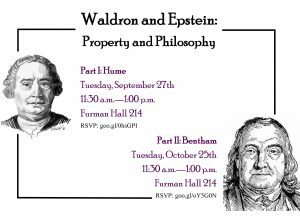 Professors Epstein and Waldron will be focusing each of the two sessions on a classic philosopher, discussing the thinker’s theory of property. 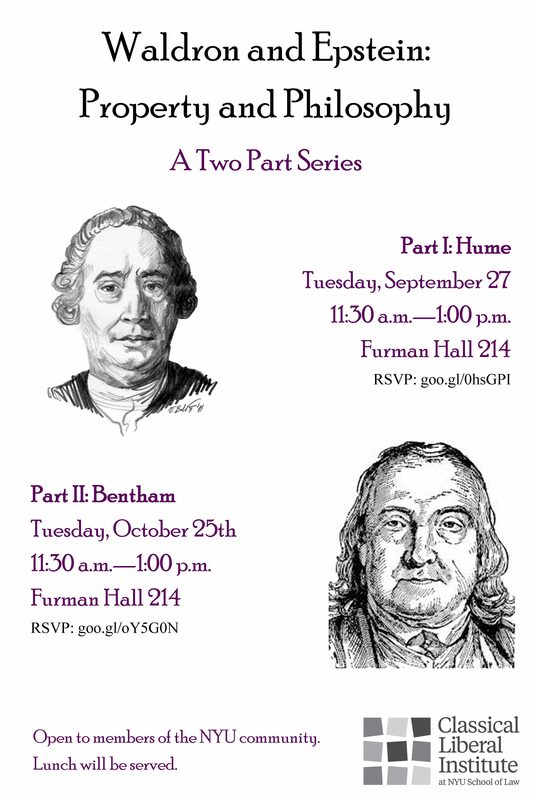 Part II will focus on Jeremy Bentham. Related readings selected by Professors Epstein and Waldron will be made available.